ISBN 9783761822432. 29 x 21 cm inches. Language: English, Text Language: English. Preface: Seth F. Josel / Ming Tsao / Staffan Ryden. Detailed explanations are given for the instrument's technical potential within the historical context of traditional guitar technique. Composers will be interested in the in-depth analyses of contemporary guitar literature, featuring many examples of chamber and ensemble music. is among the leading figures of his generation in modern guitar performance and has taken part in the premieres of more than 100 works as a soloist and ensemble member. A regular guest at Europe's major contemporary music festivals, he has worked with composers of the stature of Mauricio Kagel, Helmut Lachenmann, Tristan Murail and James Tenney and has played with such leading orchestras and ensembles as the New York Philharmonic, the BBC Symphony Orchestra and the Berlin Staatskapelle. From 1991 to 2000 he was a permanent member of the Ensemble musikFabrik. Today he lives in Berlin. (b. Berkeley, CA, 1966) is professor of composition at Gothenburg University. His compositions have been performed amongst others by the Arditti Quartet, ensemble recherche and the Stuttgart Opera (premiere ofDie Geisterinselin 2011). He is regularly involved in the Donaueschingen Festival, the Witten Days of New Chamber Music, the Darmstadt Contemporary Music Holiday Courses and Wien Modern. His works are published by C.F. Peters (Frankfurt am Main and Leipzig). He, too, lives in Berlin. 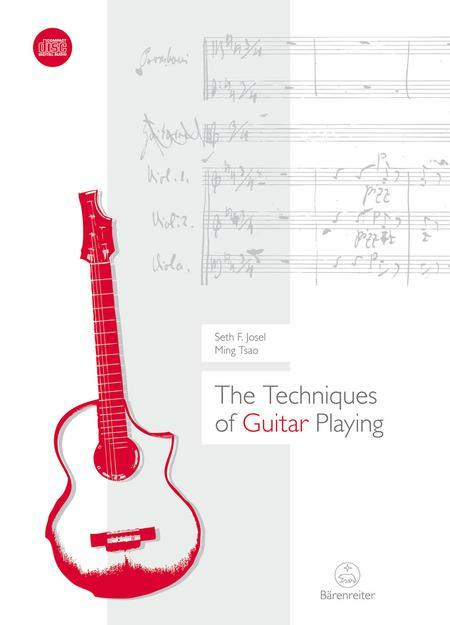 Seth F. Josel & Ming Tsao have written the most comprehensive and infromed survey of guitar techniques, composition, and orchestration and to date. It will provide a lifetime of helpful reference and interest to composer and guitarists and is sure to encourage and inspire waves of new music for the instrument.